Cameroon's military has rescued five people who were abducted and held for months inside the Central African Republic. The hostages, found Tuesday abandoned in the wild, say they were treated as slaves by suspected CAR rebels because their families could not afford to pay a ransom. Medical staff at the Ngaoundere Hospital attend to five Cameroonians freed from captivity Tuesday. Cameroon’s military found them in the wild near the border with the Central African Republic. Hospital director Muhamadou Hassini says one of the freed hostages – a 17-year-old boy – has a severe fever and blood loss but the rest are in good health. He says a 13-year old girl, her 30-year old mother, the oldest man who is 54-years old, and the youngest boy who is 17, are physically stable. But they will be kept in the hospital for medical examinations and psychological tests. Another freed hostage, a 23-year-old woman, also appears to be in good health. 13-year old Aissatou Kingue says the hostages spent a very difficult five months with their captors in the bush near Yukutundu, a village bordering the Central African Republic. She says her feet and the feet of all the women were tied with chains every evening before they went to sleep on a bare floor. All the men were in chains throughout their captivity, says Kingue, and were severely beaten at any moment. Kingue says their captors, whose identity was not clear, threatened to kill them if a $30,000 ransom was not paid. 54-year-old freed hostage Abo Younoussa says they were forced to work during their captivity. He says they were required to slaughter and clean stolen goats and cows for about 30 heavily armed men and 17 other hostages. One day when a group of 13 hostages was to be freed, Younoussa thought he would also be released because they asked him what he will tell his people when he returns home. But he says their captors decided to keep him because they said he looked like someone who would reveal their location to the military to kill them. 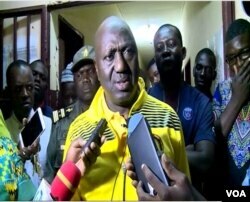 The governor of the Adamawa region of Cameroon, Kildadi Tagueke Boukar, visited the freed hostages in the hospital. He says their captors abandoned them in the bushes as Cameroon’s military was closing in. He says the ceaseless tracking, systematic and persistent pressure exerted by the soldiers was such that the kidnappers had no other option than to free the hostages. Boukar adds he has ordered the military to arrest the kidnappers and free those still in captivity. 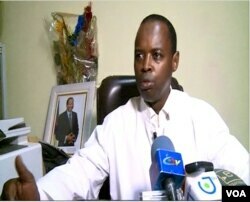 Boukar would not say if the captors were believed to be Central African Republic rebels. But CAR militias have often entered Cameroon to seize cattle ranchers and traders to extort ransom or steal their property. Cameroon hopes cross-border abductions will stop following an African Union-sponsored peace deal in February between the government of CAR and armed groups.